Industrial facilities have to monitor stack emissions from their significant point sources and are driven to do this at minimal cost. The requirements for more reliable, accurate, and cost-effective compliance data has begun to move the global emission monitoring market from hardware-based systems to software-based. Software based Predictive Emission Monitoring Systems (PEMS) are accepted by United States Environmental Protection Agency and other international regulatory authorities. Representing the lowest total cost of ownership for environmental compliance monitoring, CMC offers a unique, non-proprietary software-based solution that alleviates the need for installing expensive hardware systems. Traditional monitoring solutions such as gas analyzer systems with environmentally controlled shelters, air conditioning systems, calibration gases, pumps, and filters need a high level of maintenance with significant material and labor expense. Plants that have a large number of smoke stacks are challenged to secure the necessary analyzer expertise. Maintenance staff sometimes struggle running multiple stack analyzer systems. “CMC, with its unique technology delivers superior reliability and accuracy with minimal maintenance. 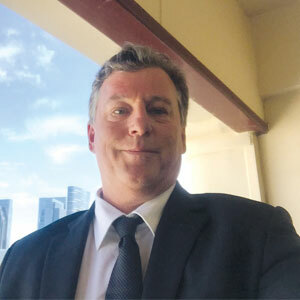 When a company spends less money, time, and effort in maintaining hardware based compliance monitoring components, it can focus on other factors that make the enterprise competitive such as improving product quality and customer service” states Brian Swanson, President at CMC Solutions. CMC’s SmartCEMS with Data eLements PEMS offers continuous stack analysis with data storage and reporting for boilers, heaters, engines, and gas turbines to meet the requirements of U.S. Code of Federal Regulations. Hardware CEMS (Continuous Emission Monitoring Systems) can only provide the emission data. Empirical PEMS like SmartCEMS focus on the relevant process parameters and generate emission data for compliance using a model built from historical data. SmartCEMS evaluates the entire process and provides feedback to the operator, engineer, or manager that can be used in pollution control and emission reduction strategies. At the same time, the system evaluates the status of the process against the historical data to assess the process’ efficiency and performance over time. The solution works within the existing control network interfacing with instrumentation already installed. The system has built-in interfaces such as OPC and a secure means of storing and retrieving compliance data in a SQL database. CMC’s product development team works with emerging technologies such as 3D visualization to add new features to the product line. At the same time, the company remains focused on providing standard and custom features that can be used for compliance monitoring and to allow for safer and more efficient plant operation. CMC’s products serve a wide range of clients around the globe. CMC has deployed solutions outside the U.S. in response to increasing global demand for cost-effective air compliance monitoring options. CMC’s technology solutions represent a leap forward over a traditional hardware system, providing a return on investment, lower operating expense, and a reliable alternative to CEMS.